Post emulators of any gaming platform on the App Store, it is illegal, which is why Apple is always ready to do a good cleaning . What I want to talk about today, is a shady way to publish emulators on the store, avoiding the watchful eye of Cupertino, it is a file manager with a dual purpose. The application in question, called the Remote File Manager, and inside it hides a SNES emulator. Acts both as a normal file manager, that emulator. 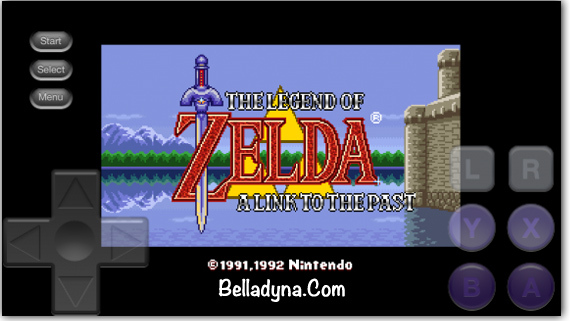 For this reason, Apple has not yet removed the app from the store, as it is not an emulator, or rather masquerades as a file manager, but it really allows you to play SNES titles with the help of ROMS. The cost of the Remote File Manager, is € 0.89 and can be found on the App Store. To use the emulator, you will not have to do is connect to Dropbox through the application itself, click on the ROM format . Smc present in it and play. Needless to say, you must be connected to the Internet to play, since the ROM resides on the cloud storage. Perhaps this is why Apple has not yet removed the app from the store. Use or commercial SNES rom download, copyrighted, it is illegal. We have not tested the application and we assume no liability regarding the use, this article is purely for informational purposes. Typically, Apple, when he sees an emulator on your store, whether free or paid, provides to its elimination. How will he react when he discovers the existence of an application that contains an emulator ? One thing is certain , the author was very clever to create a normal application and permitted, including but inside a dark side. If you want to test the app, you can do so by purchasing it from the AppStore, until it becomes available.